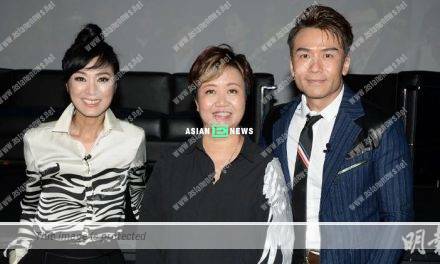 Alice Chan (陳煒), Tiffany Lau (劉穎鏇) and Mak Ling Ling (麥玲玲) attended an activity at a shopping mall on 22nd January 2019. 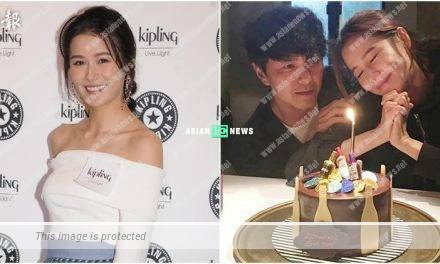 Ling Ling predicted Alice had high chances to try new challenges and buy property this year, but must handle her romance in low-key in order to ensure a long lasting relationship. Alice said: “I am browsing some flats now and hoping to buy it after mid 2019. (Ling Ling predicts you have new challenges this year?) I really wish to explore new role characters and it is fine even if I have a bald head. Meg Lam (林建明) looks very beautiful without any hair and hopefully it will become a breakthrough. (Having a bald head affects your love luck?) Need to consider first. Really hoping to have a smooth career and relationship.” Ling Ling then advised Alice to keep her romance a secret as it would be over once the public knew about it.